I never realized that the term for the “ghost or God money” (variously called 金紙、陰司紙、紙錢 and 冥幣 in Chinese) that we use in English, “joss paper”, is a Chinese-English pidginization of the word God in Portuguese “Deus”. It’s odd because I’ve used it so often without thinking to look up its origin. I guess I’d always assumed it was from Cantonese like other terms more commonly used in English like “pak choi” for 白菜 bai2cai4. 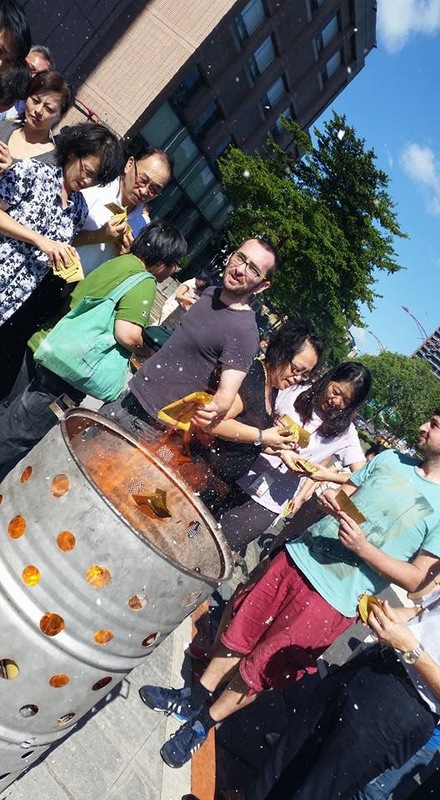 Incidentally the Taiwanese for joss paper is kim-chóa. The reason there are so many different names for it in Chinese is because different kinds of paper are burned for different kinds of spirits, whether they be ancestral ghosts, deities or the ghosts of the recently deceased. Update: The Oxford dictionary states that the term came from Dejos, the Javanese corruption of the now obsolete Portuguese word for god Deos, which in turn came from the Latin Deus. It was first used in the early 18th Century. Not sure if was just the term “joss” to refer to god was coopted in reference to China by the Portuguese in Macau as one commenter (Keoni Everington) suggested or how it came to be used in the West. It says that it refers to Asian religions though. Would love it if anyone has any details on this. This entry was posted in Chinese Language, Curiosities, Home and tagged Chinese, etymology, 金紙, joss paper by ladenframe. Bookmark the permalink.